Plan to register early if you want to ride in the STP (Seattle to Portland Bicycle Classic), RSVP (Ride from Seattle to Vancouver and Party! 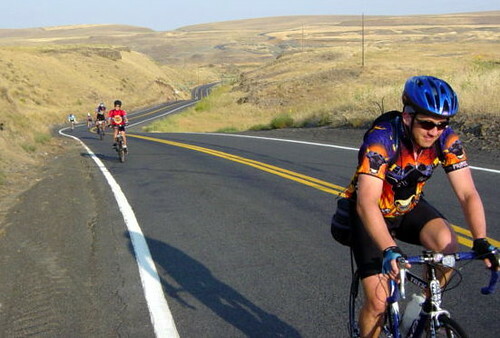 ), or other popular rides presented by the Cascade Bicycle Club in 2014. Those bike rides are already on people’s minds as 2013 comes to a close and the registration process is looming in the next few weeks. Members always get first crack at registration for the Seattle-based club’s major ride events of the year, so you might want to consider paying for a new or renewed Cascade Bicycle Club membership (individual memberships will increase to $40 — up from $35 before Jan. 1 — on Wednesday). “While spots cannot be guaranteed, members have a big jump on the general public in securing a spot in Club major rides,” said Anne-Marije Rook, director of communications for Cascade. Again in 2014, Cascade is spreading out the registration schedule over several weeks. And for the second year, the club is offering a premium-priced “But It Now” feature at a cost of $200 for those interested in RSVP 1. The feature will be extended to those interested in RSVP 2. These spots will be available for purchase immediately; RSVP 1 is expected to sell out before non-member registration opens. 10 a.m., Tuesday, Jan. 7 — Members-only “But It Now” for RSVP 1 and RSVP 2. 10 a.m. Tuesday, Jan. 14 — Members-only registration for Chilly Hilly, Flying Wheels, STP and RAW. 10 a.m. Tuesday, Jan. 21 — “Buy It Now” ends for RSVP 1 and 2; members-only regular price registration opens for RSVP 1 and 2, and Seattle Bike ‘n’ Brews Cruise. 10 a.m. Tuesday, Feb. 4 — General public registration opens for Chilly Hilly, Flying Wheels, STP, Bike ‘n’ Brews, Ride Around Washington (RAW), RSVP 1 and 2. 10 a.m. Tuesday, April 1 — Registration opens for High Pass Challenge and Kitsap Color Classic. Cyclefest — July (no Cyclefest for 2014) The biggest stage of the Tour de France is shown on an outdoor screen at Seward Park. Other activities as well. Coincides with Thursday bike races at the park. Cascade Bicycle Club also offers daily rides that are open to both members and non-members.